Internet and IT, @ EPI program for development of vaccine & logistics management system for uninterrupted supply of vaccines and cold chain management information system. @ Voter List Entry and Printing (Election Commotion). @ Food Recruitment Project (FRP), CV process of applicant, issuing admit card, examination result process, appointment letter process under Food ministry. @ Computerization of Land Management System (CLMS) of Dhaka City (2ND Phase). @ Call Center (outbound call to USA, Canada, Australia, UK ). 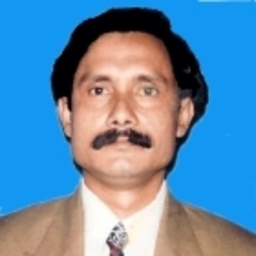 Subject: Simulation and Modeling, Computer communication and Network, Business Systems Design and Analysis, System Analysis, Software Engineering. Network Enterprise, Project Management, Data Base Design. Management & Information Technology. Discuss topics you and Nasim Chowdhury are interested in in XING Groups. Nasim Chowdhury attended the following events – were you there as well?